In addition to writing stories and novels, editing a children’s magazine, and giving lectures on women’s topics that were dear to her heart, Isabella wrote Sunday-school lessons for children. Her published lessons were well-regarding and widely adopted by many denominations. 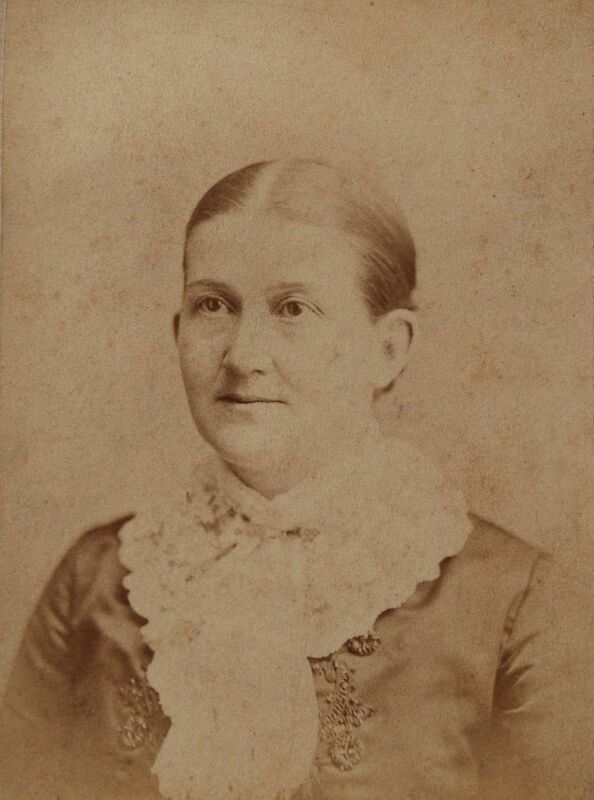 Several publications printed her lessons each month, and dedicated Sunday-school teachers across the country employed them every Sunday morning. Isabella had been trained as a teacher; that’s how she earned her living prior to her marriage to the Reverend Gustavus Alden. It’s little wonder, then that Isabella was regarded as an expert in her field, and often found herself giving impromptu talks about the proper methods of teaching Sunday-school, particularly for younger children (which were often called the “infant class”). The May 1877 issue of Sabbath School Monthly magazine printed a letter submitted by a reader who had the pleasure of hearing Isabella give just such a talk. The reader had been at the Sabbath School Conference in Indianapolis earlier in the year, and was in the audience when Isabella was brought on stage to answer questions. Many in our city who have enjoyed the writings of your special contributor, Mrs. Alden—our dear “Pansy”—had the opportunity, last week, of seeing her and of hearing her talk. 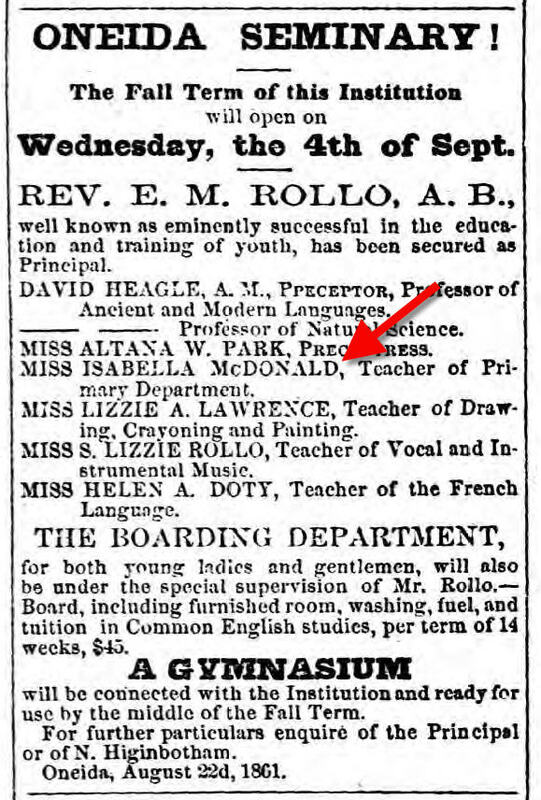 After the urgent solicitation of Dr. Vincent, who conducted a Sunday-school Congress of the M. E. Church, she consented to reply to questions on infant-class teaching. “What if the opening exercises are too lengthy?” She said that there might be folding doors, so that the rooms could be thrown together—that she had shut her doors when she had enough. “Should there be a division of the class, and a teacher for each division?” She replied that one of the many difficulties that would result from it would be the desire to go from one class to another. This question is answered conclusively in last week’s chapter of her serial. It was asked: “If I can not visit all my class, what can I do?” “You can send a messenger; some one who will make a pleasant and good impression, with a message of love, or a token of love, such as a flower.” She had been surprised to see how little things sent by a teacher were cherished by children. She was desired to speak of blackboard teaching and we were convinced that her kind of object lessons would give a definite idea to the mind of a child. A heart on the blackboard, with a red crayon mark around it, and the word “clean” printed upon it, would indicate that it was washed in the blood of Christ. As to memorizing verses, she told of the conductor’s punch that had been used by some teachers, making a round hole in the card for a perfect recitation, and a hole not round for an imperfect one, and how the child would work for that round hole. Three different train conductor ticket punches and the hole shapes they make. To the many that wish they could see Mrs. Alden, I would say that you would find in her a friend. She is a small lady; her face very bright, with delicate features; good teeth, rosy color; dark brown hair; very small hands. She dresses in good taste; very neatly. 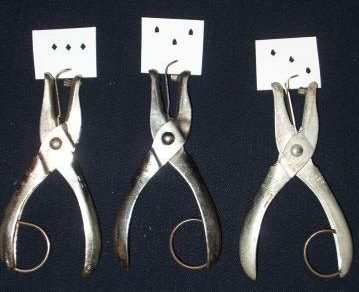 These items are not needed to add to the interest of her books, but they may satisfy some wonderings concerning their author. Don’t you love the writer’s physical description of Isabella (she has “good teeth”!)? When Isabella gave her impromptu talk in 1877 she was 35 years old, and a seasoned public speaker who seemed to make a very good impression on her audience.